Trexler Rubber Company of Ravenna, OH continues to manufacture this staple for vintage aeromodeling projects. 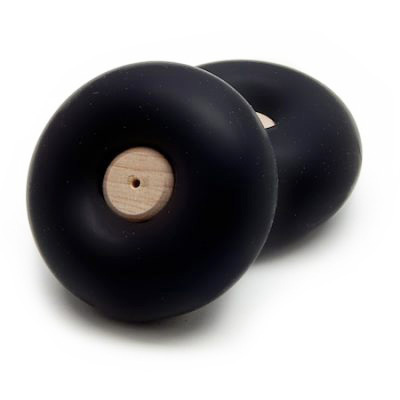 These classic pneumatic balloon wheels feature a solid wood hub and inflatable latex tire. 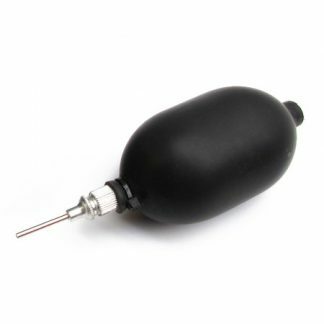 Sold assembled and in pairs, Trexler's classic inflatable model airplane balloon wheels are suitable for both free flight and light weight electric applications. 2.50 in. diameter | 16g (pair) | Max airframe weight 10 oz. This is a natural latex product and requires special handling and care to obtain the longest product life. Following the instructions below, you’ll be assured of getting the longest duty cycle out of your new Trexler wheels. Each Trexler tire has been carefully stored and has tested prior to leaving our facility.